The photos in this gallery were taken in several places around British Columbia...from as far east as the Elizabeth Lake Sanctuary in Cranbrook, BC, as far west as the George C. Reifel Migratory Bird Sanctuary http://www.reifelbirdsanctuary.com) in Ladner, near Vancouver on the mainland, Victoria on Vancouver Island, and as far north as Tumbler Ridge. Many of the images (particularly the hummingbirds) were made right here at home in Castlegar. 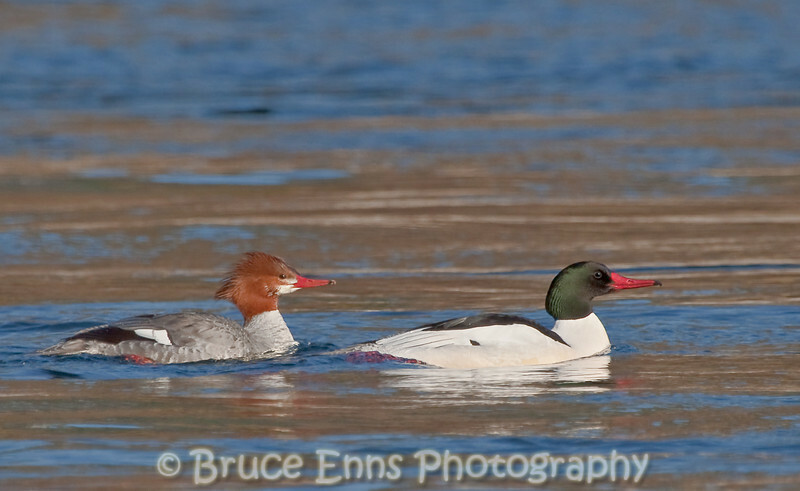 A pair of Common Mergansers on the Columbia River near Tin Cup Rapids at Castlegar.